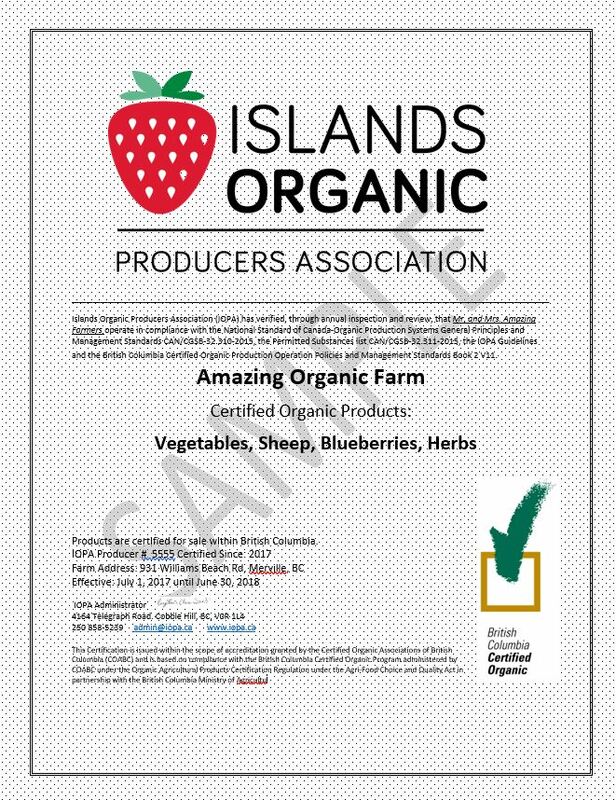 How do I know if a product is really Certified Organic? 1. Ask to see their current Certificate. 2. Check to see that they are listed on COABC’s Current Membership Directory. Click on the search button to search by farm name. 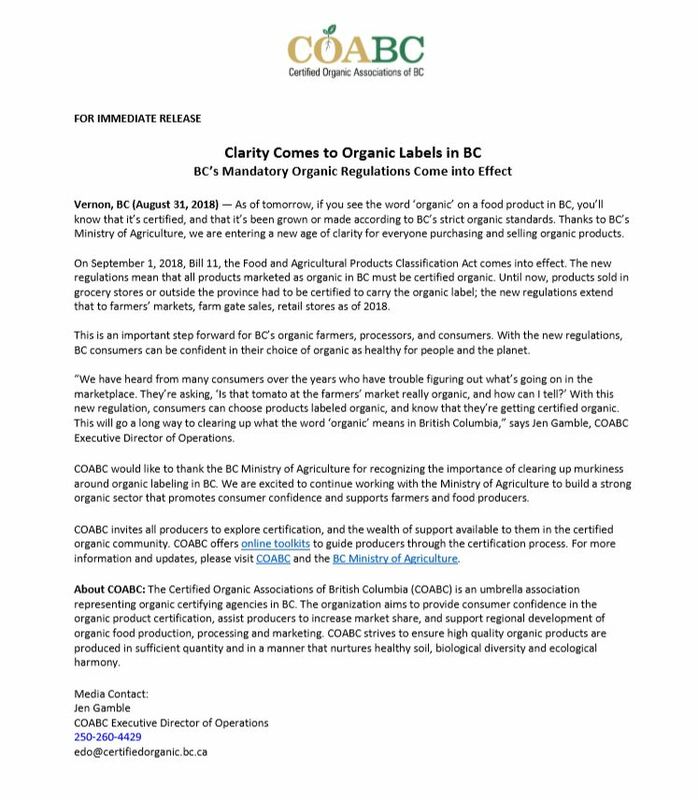 As of September 1, 2018 in order to label a product as ‘Organic’ in BC, operators need to be Certified by an Accredited Certification Body. IOPA is accredited by COABC.